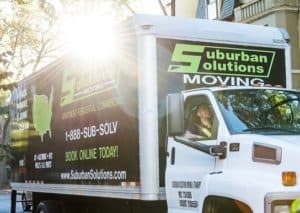 What are some things that can add cost to my move? Things that are challenging for our moving crew that can add time and moving cost are long walks and tight stairwells and hallways. Oddly shaped items, exercise equipment and lawn equipment / patio furniture can be challenging to pack tightly on the track and take additional time. Local Moving Estimates are non-binding. So if your move is quoted between four hours and five hours but only takes 3.5 hours, that is all you are charged for. We base your estimate on the information provided. We kindly request that you give us as much information as possible so we can be as accurate as possible! 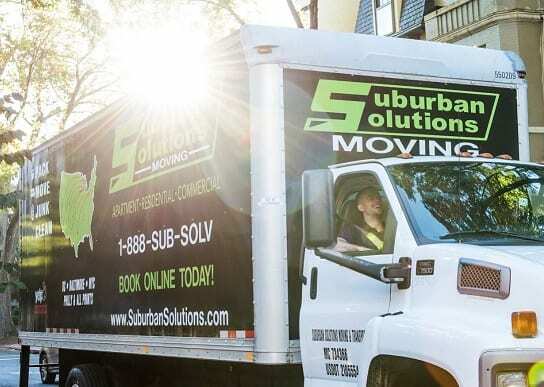 If there are items that we need to move on moving day that we did not account for, it will take longer to perform your move! For long distance moves, we will provide you with a flat rate. This is based on the same information as above as well as the weight and volume of your collective furniture. Things like projected load and unload time also have an effect, as well as the pick up and drop off location. We do not have any hidden fees or charges. There is a tariff sheet of potential charges, but these only result if there is information not made known to us prior to quoting your job. So long as the actual move matches our quote details, your price is set in stone. We do have some additional fees for add on services like hoisting, piano moving and over night storage. Your local office will be able to outline any additional fees in advance. We pride ourselves on up front pricing with no surprises, so we make a point to get an estimate to you that clearly shows what you are paying for. Lastly we also offer a series of retail items like boxes, tv boxes, wardrobe boxes, mattress bags that can add to your cost. These are completely optional!